As Nepal warms, a new health threat looms: dengue fever - Integration Through Media ....! Aadesh Subedi, POKHARA, (Reuters) – When Rambhadur Bishwakarma began running a high fever in October, he at first wasn’t overly concerned. But mosquito-carried dengue fever – usually thought of as a tropical disease – is gaining ground in temperate western Nepal as climate change brings warmer temperatures and changing weather conditions. 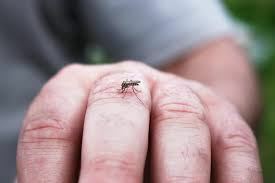 Even districts well north of Kaski – including mountainous Mustang and Manang, which once saw snowfall even in summer – are now seeing mosquitoes, he said.